I will be available for assistance and tutoring upon request and appointment. Below you'll find pdf files and strategies to assist you with reading in all disciplines. Somebody Wanted But Then So Finally Chart- summarize fiction and non fiction. Figurative Language Chart- locate and identify figuratively language and what it communicates. KWL Chart- understand what someone knows, wants to know, and learned about a subject. 5W1H Chart- gather key information about a subject. Frayer Model Chart- identify meaning of vocabulary word and associated it meaning. Plot Diagram Chart- identify a story's plot from beginning to end. IVF Summary Chart- indentify text, select summary verb, and summarize text's main idea. 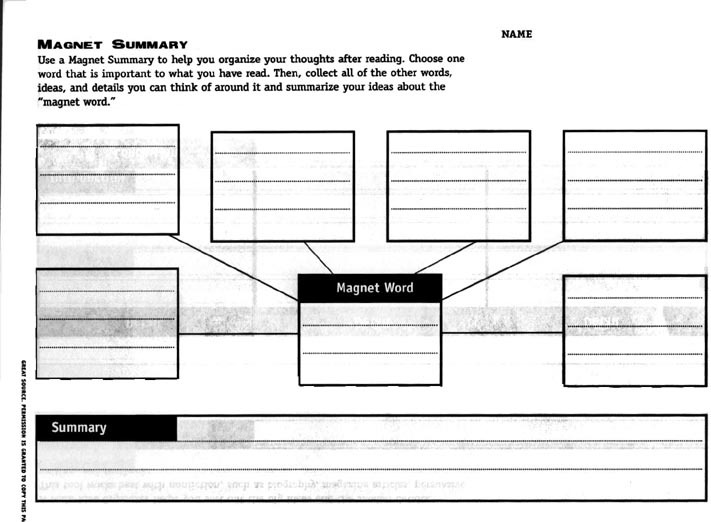 Magnet Summary- to help you organize your thoughts after reading. Character Map- understand & analyze a character in a story, play, or novel. Topic & Theme Organizer-find the theme in a story, novel, or play. Venn Diagram- compare 2 characters, stories, poems, settings, essays, etc. Concept Map- organize everything you know about a concept or idea. 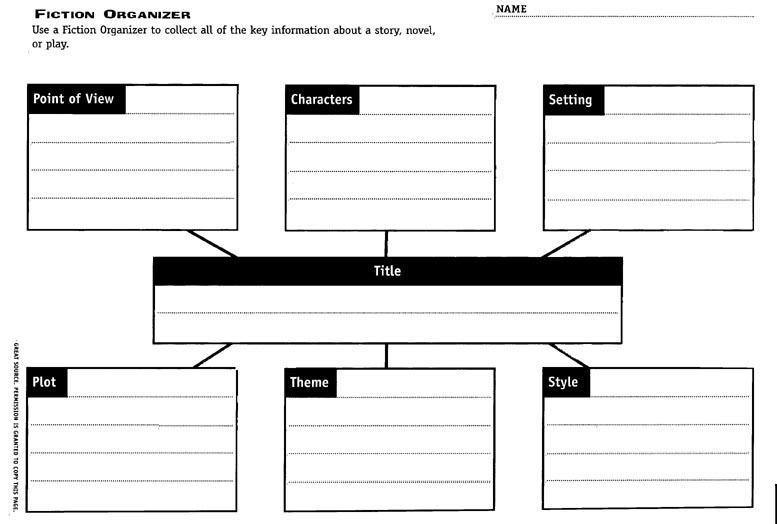 Fiction Organizer- collect key information about a novel, play, or story. 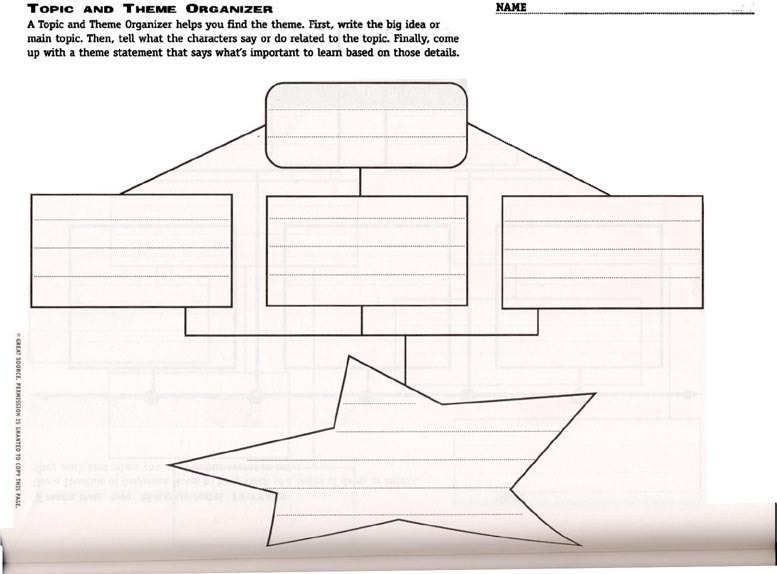 Main Idea Organizer- sort out the big ideas & the smaller ideas.